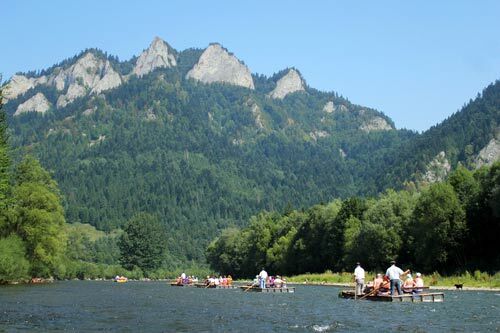 The rafting down the Gorge of Dunajec River is one of the top attractions for tourists in southern Poland region. 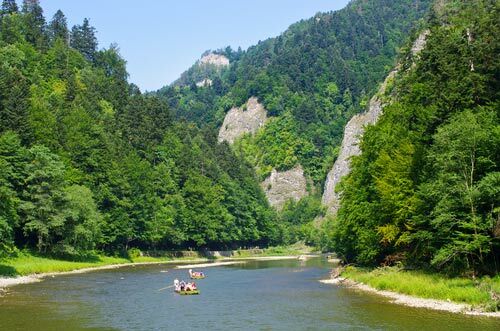 Dunajec River runs through the Pieniny Mountains, river is a natural border between Poland and Slovakia .Tourists board large wooden punts to drift along the gorge of Dunajec River admiring beautiful landscapes, breathtaking views of Pieniny National Park. 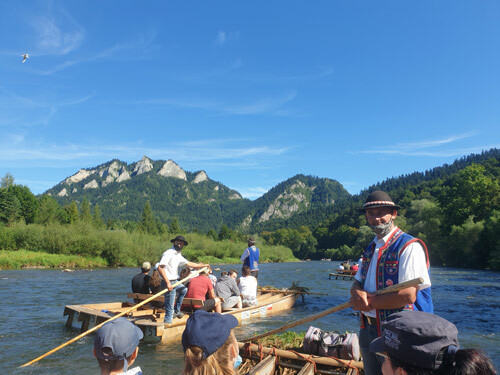 Rafting Trip starts in Sromowce-the mountain village, it lasts about 2 hours 15 minutes and ends in the marina of the town of Szczawnica. Rafting Trip is a seasonal offer. Rafting season lasts from the 1st of April till the 31st of October. Rafting Trip starting from Krakow is the all-day trip.